For the second year, the Robotics Alley Conference & Expo will offer a free career fair for engineering, manufacturing and technical professionals. OMRON Releases New Models to Join Machine Automation Controller NJ101-series. 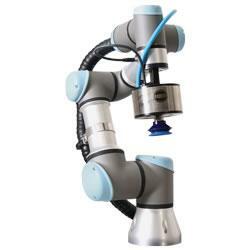 The partnership enables Blue Ocean Robotics to provide emerging robotic solutions for the manufacturing, healthcare and educational sectors in Hong Kong through Cyber Discovery, which as a local sales partner will sell, support and service local customers. 11/18/15, 04:53 AM | Industrial Robotics, Factory Automation | ABB Inc.
11/17/15, 07:34 PM | Industrial Robotics, Factory Automation | ABB Inc. Automation Fair event, hosted by Rockwell Automation, Nov. 18-19, in Chicago.